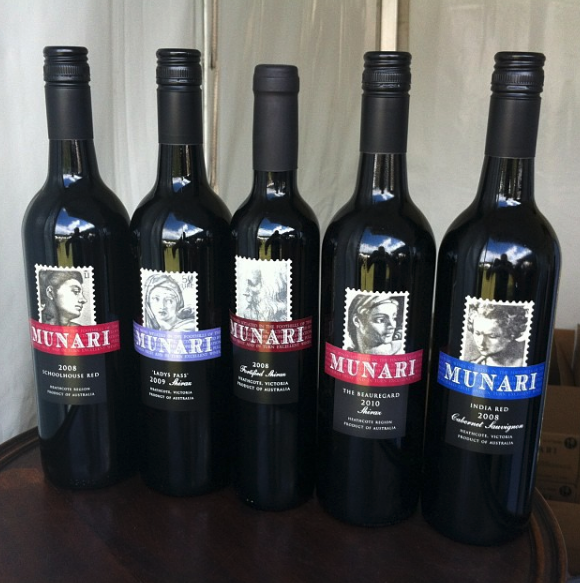 Munari is a quaint family owned winery and the perfect place for anyone interested in learning about the region and it’s history as these guys are a wealth of knowledge. Tastings will often take place with a member of the Munari family and the passion for winemaking and the Heathcote region shines through. They too are eager to put Heathcote on the touring map. What we found interesting was the story behind their wine labels. Many years ago they used to receive mail from family in Italy marked with post stamps of artwork from the Sistene Chapel. They have kept these stamps and recreated labels of each artwork which ties in perfectly to their heritage. 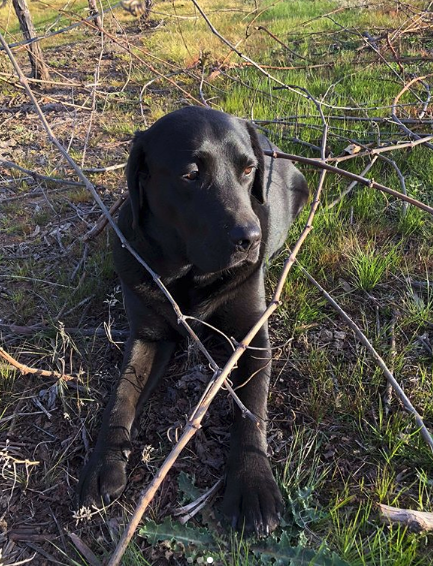 Add to the mix their beautiful black Labrador, Panther and you have a great experience. What is a bonus t is you can also buy a glass of your favourite drop and head out into the garden to enjoy a drink and take in the scenery. The wines produced show case the region perfectly but are heavily skewed to reds. They produce four styles of Shiraz including a fortified which is interesting when you line them up alongside each 0ther as they are all uniquely different. Surprisingly we found their India Red Cabernet Sauvignon (named after their daughter) to be our pick of the day with the juicy black current and cigar box flavours. Did we mention that the wines are all at a great price point for such good quality so won’t break the budget. They also import a Prosecco from Italy which is a perfect compliment to their homegrown wines. As you pull up to the cellar door you can appreciate the pretty outlook to the south side of the property before heading into the unique and quirky tasting room. You will find art of the Sistine chapel stamps hanging inside the cellar door alongside images and memorabilia of the family. 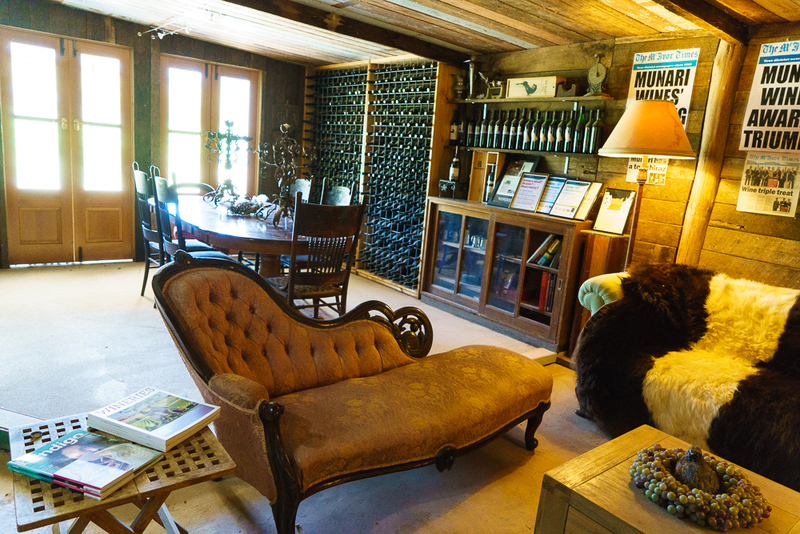 There is plenty of wine paraphernalia and the decor is not your traditional cellar door style but that’s what makes it memorable. 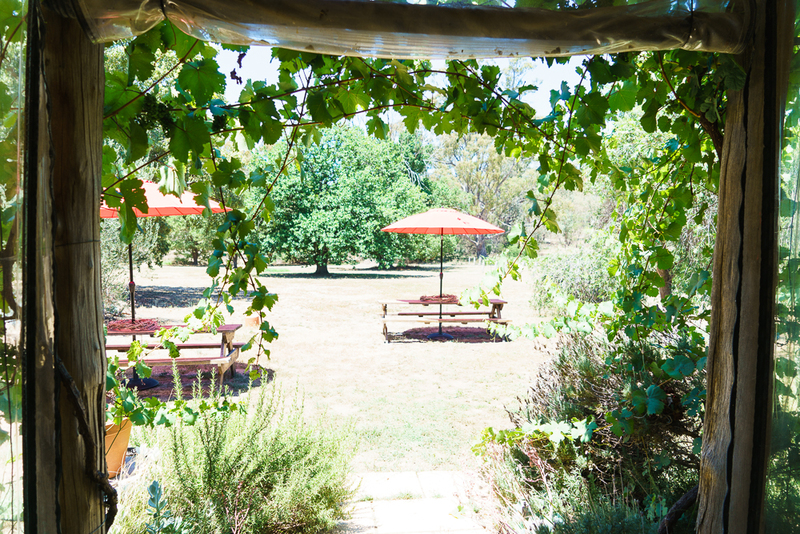 The gardens surrounding the property a country and cute and beckon you to head out to enjoy a drink. This is another family that wants to make a name for themselves in Heathcote and the friendly welcome you receive at the cellar door for us was memorable. They are also one of the few cellar doors open 7 days a week so we know that we can stop by anytime. The limited selection of white wine may not be to everyones tastes but the addition of the imported Prosecco adds another dimension for them.